Charges announced this week highlight what Alaska prison officials say is a chronic problem: Some people are intentionally getting sent to jail for short stints in order to smuggle in and sell drugs at a huge markup to a hungry, captive audience. The U.S. Attorney's office said Wednesday it had filed charges against Steven Cao, Brandon Beltz, Allyson Moore and Jennifer Delossantos on drug conspiracy, attempting to give an inmate a prohibited object and firearms charges. 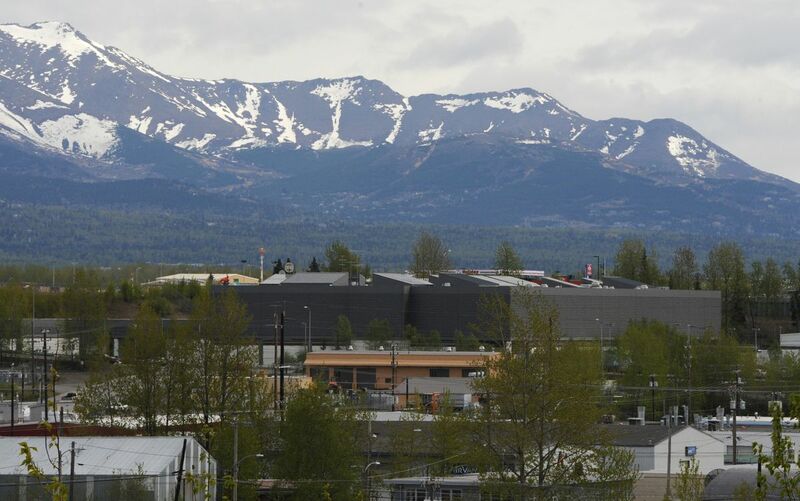 Cao was a federal prisoner being held at the Anchorage Correctional Complex on methamphetamine distribution charges in late 2017 and early 2018 when he conspired with the others to smuggle subutex into the jail, according to the charges. Subutex is a form of suboxone, a narcotic that is prescribed as a treatment for opioid addiction but can be misused. According to the federal charges, the defendants planned to recruit someone under pre-trial supervision — out on bail — and get them to "intentionally violate their conditions of release" so that "the state would remand him back into prison custody for 72 hours," the charges say. The person would hide the drugs in a body cavity, smuggle the drugs into the jail and deliver it to a dealer who would then sell it to other prisoners, the charges say. Cao and Delossantos paid the other two conspirators with a Glock handgun, the charges say. The charges don't make it clear whether the alleged conspiracy worked, or if the drugs were ever distributed. The Drug Enforcement Agency and the Anchorage Police Department led the investigation, according to federal prosecutors. But it is no secret that some defendants have long exploited low-level probation violations as a strategy to get into facilities for drug trafficking, said Dean Williams, who has been the commissioner of the Alaska Department of Corrections for more than two years. "Very early on in my tenure I knew this was a problem," he said. "This has been a marked strategy (on the part of drug smugglers)." The fact that that people with a first-time technical probation violation — such as a failed drug test or missed appointment — get a three-day stint in jail as punishment is no secret to defendants, said Susanne DiPietro, the executive director of the Alaska Judicial Council. She said she's heard stories of defendants showing up to a courtroom prepared to be sent back to jail for a few days with "a toothbrush — and say, their drugs hidden in a body cavity," she said. "People were sort of banking on the swiftness and the certainty," she said. "They were trying to use that to their advantage." Others have used the PACE program, which puts high-risk probationers back in jail for "swift, certain" stints in jail when they break the rules, as a ticket inside for a few day stay, Williams said. The PACE program does a lot of good, Williams said. But this is the downside. It's not clear where the alleged conspirators charged by federal prosecutors were getting their information. The pre-trial part is confusing, said DiPietro. She said she wasn't aware of any policy that would give a person who violated their bail conditions a certain 72 hours in jail. Assistant U.S. Attorney Stephan Collins said he couldn't say where the alleged co-conspirators got the idea. "I will not comment on the soundness of the defendants' reasoning or the 'facts' upon which they relied when they agreed to do what they did," he wrote in an e-mail. "Or when they somehow concluded that they would not be caught."